I’m not a fan of having oranges in my meat. Desserts, maybe, but not my meat. Come to think of it, I’m not exactly a fan of orange altogether. Nope, not even orange juice. So you can imagine my reluctance last night when I realized that the event I was going to—the event I already RSVP’d “yes” to—was an ORANGE event. Meh. But I went anyway. After all, I don’t exactly hate oranges, and, let’s face it: I LOVE FOOD. So off to Chowking Rizal Drive, I went. Luckily, it was close to my office. Good thing I did because it was there that I decided that maybe I oranges with my meat weren’t so bad, after all. 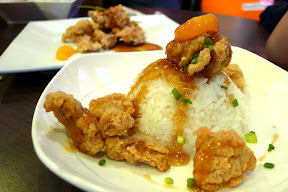 Chowking’s new Orange Chicken is pretty OH!some, as the ad says. I liked how crispy the savory chicken chunks were on the outside, but tender inside, and the orange bits gave it a nice twist. It’s kind of like lemon chicken…only with sweet, tangy oranges. 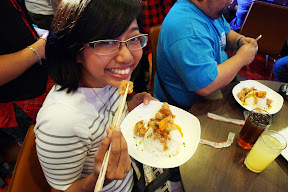 And topping it all off was the sweet and spicy sauce, which gives a little kick to the flavors dancing on my tongue. 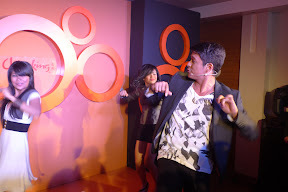 And, speaking of dancing, check out Jericho Rosales’ dance moves in the promotional ad. He demonstrated it for us last night in the party, and there was even a chicken dance contest! 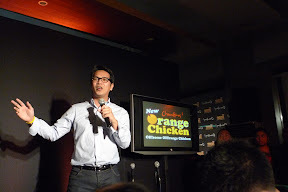 We went through more than 10 rounds of the chicken dance, what with Chowking giving away Swatch watches, iPod Shuffles, and a camera, all colored—you guessed it—orange. And the dance? Totally infectious, I tell you. There’s an ongoing contest about the chicken dance right now on Youtube. One where the winner can get 25,000 pesos. Check it out! 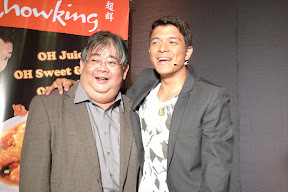 There were so many prizes given away because, aside from celebrating the launch of the new Orange Chicken, we also celebrated as Chowking marks its 25th year in the foodservice industry! 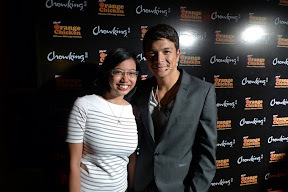 Happy 25th, Chowking! Chowking’s OH!some Oh!range Chicken is available starting at P69 for the Rice Chow Meal with a generous portion of Orange Chicken and rice; P99 for the Lauriat which includes crispy noodles, Chicharap and Buchi; and P125 for the Salo-Salo Set ideal for sharing. 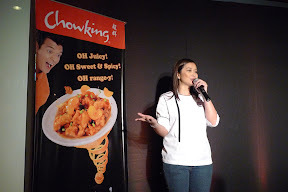 You can also enjoy Chowking’s OH!some surprises at home by dialing 9-8888 for delivery.